Air New Zealand jet and turboprop fleet pilots are highly skilled because we invest heavily in flight training and professional development. Our pilots take great pride in providing customers with safe and enjoyable journeys, wherever they travel with us. We’re always looking for talented pilots who can help us deliver the Air New Zealand difference, whether you join our turboprop or our jet fleets. Mount Cook and Air Nelson operate domestic routes on the Air New Zealand network using our turboprop fleet. To become part of this fleet, you’ll need to join at First Officer level. There are a number of these roles located at bases around New Zealand. Whether you’re looking for a career flying turboprops or a pathway to our jet fleet, this role is a great point of entry. The Air New Zealand jet fleets operate on our major domestic routes and international network. We accept applications from our turboprop fleet or direct entry applications if you have suitable experience. We're looking for the best. To become an Air New Zealand pilot you are expected to have specific skills and experience, as well as a blend of technical know-how, passion for flying and dedication to customer service. Note: Talk to your local flight training institute or Aero club for information on obtaining the above requirements. Only indefinite permanent residents of New Zealand or citizens of New Zealand or Australia will be considered. An ability to travel overseas is required for the jet fleet including a valid passport with visas as required. You will need a NZCAA Class 1 Medical. As part of the assessment process you’ll also need to have a medical examination. You’ll need to go through Police and Aviation Security vetting. You must have a New Zealand secondary school qualification to enter university (or equivalent) as recognised by the New Zealand Qualifications Authority. If you don’t hold University Entrance but have achieved all seven NZCAA ATPL exam credits, you’ll meet the 'equivalence' standard. This equivalence is subject to the pass/fail conditions which means fewer than three failed exams in total, with no multiple failures in one subject. If you don’t meet either of the defined University Entrance or ATPL standards but have completed a Degree course (either extramurally or as a mature student) you will meet our education requirements. To be considered for a role you must hold a current Commercial Pilots License (CPL). The minimum age for issue of a CPL is 18 years. Air New Zealand has a commuting policy which states that employees should reside on a day to day basis within a zone which is no more than a 90 minute drive (irrespective of the actual means of travel chosen to commute) in peak hours to and from that employee's normal place of work or allocated base. Initial screening against our minimum standards. You’ll be invited to attend a two day Assessment Centre held in Auckland. Before the Assessment Centre, you’ll need to complete online testing, reference and logbook assessment forms. During the two days you’ll go through a variety of assessments including a simulator assessment, interview, written assessments and a group exercise. If you meet all our requirements, you’ll be invited to join our team. Our Pilots do more than fly planes, they take great pride in providing customers with safe and enjoyable journeys, wherever they travel with us. They are actively encouraged as a leader in all of their roles. Throughout your career you’ll have development opportunities in areas such as training, management and projects. Becoming part of our pilot group can be the start of a lifelong career. Our pilots enjoy all the lifestyle benefits of living in one of the most beautiful countries in the world as well as the variety of flying in New Zealand and various destinations around the world. You’ll have the best office views and will be working with a welcoming team of people who love what they do. 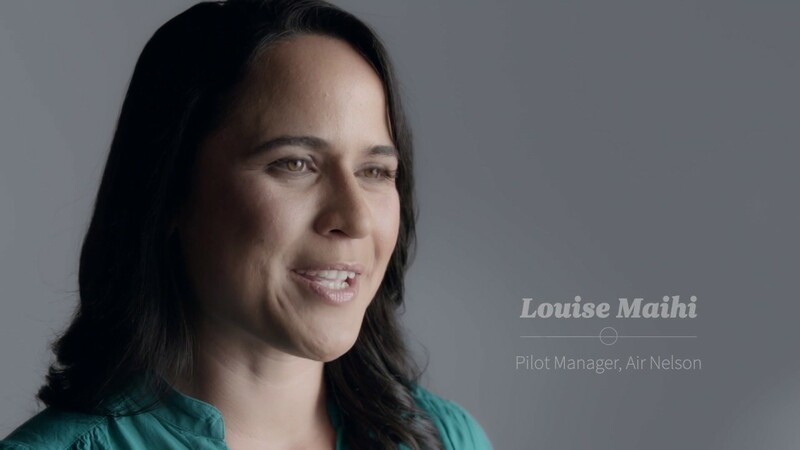 Throughout your career as a pilot for Air New Zealand there are many opportunities for professional development. We’ll actively encourage you as a leader in all of your roles. Our pilots are industry leaders in human factors, training and flight safety. Ongoing technical projects such as aircraft acquisitions and upgrades, FANS, and other emerging technologies also offer opportunities for career development. Pilot management roles give a wider understanding of the aviation business environment, while allowing you to continue flying. As a regional turboprop pilot your development path will initially be steep. This will possibly be your first multi-crew, high performance aircraft role. Along the way there are opportunities to develop your overall piloting abilities. You may also want to contribute to the broader field of aviation as a Ground Instructor, CRM developer and presenter, Training First Officer, Flight Instructor or even as Pilot Manager. Regional is the perfect place to set up your long and rewarding career. When you join our jet fleets, you’ll spend the first two weeks getting to know Air New Zealand. During your introduction programme you’ll meet your management team, training managers and parts of the business that support Flight Operations. We’ll take care of your uniform and provide you with an ID and tablet device. Your Type-Rating begins immediately following the introduction phase. This will involve a combination of classroom, computer-based and simulator training. Aircraft training involves a number of sectors flown with a trainer and then a short period of consolidation. A Type-Rating and line-training typically takes three months until you are a fully qualified Air New Zealand pilot. For new turboprop pilots, our renowned training programme kicks off with a Flight Operations induction that lets you know what is expected of you from the start. What follows is a well-paced programme building on your knowledge and skills through familiarisation flights, mentoring, human factors training, procedural and simulator training. Once type rated, a period of line training follows through to final qualification – from start to finish usually takes three - four months. As an Air New Zealand First Officer, you’ll be part of a world-class team and enjoy our beautiful New Zealand scenery. Discover more and join our Turboprop Fleet today.